The Common Loon is a large species of bird in the diver family. It is also known as the Great Northern Diver. 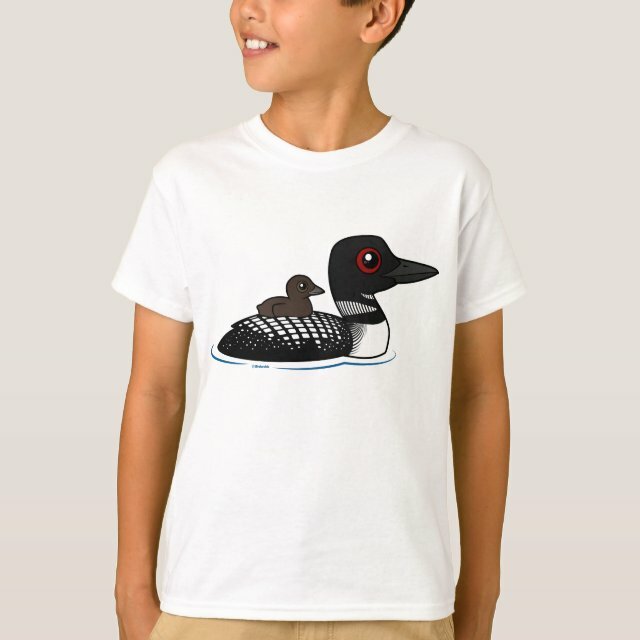 In this adorable cartoon design, an adult loon in striking breeding plumage carries a downy chick on its back. How cute! You can customize this gift! Move the design around, change the background color or style, add text or images -- make it your own!